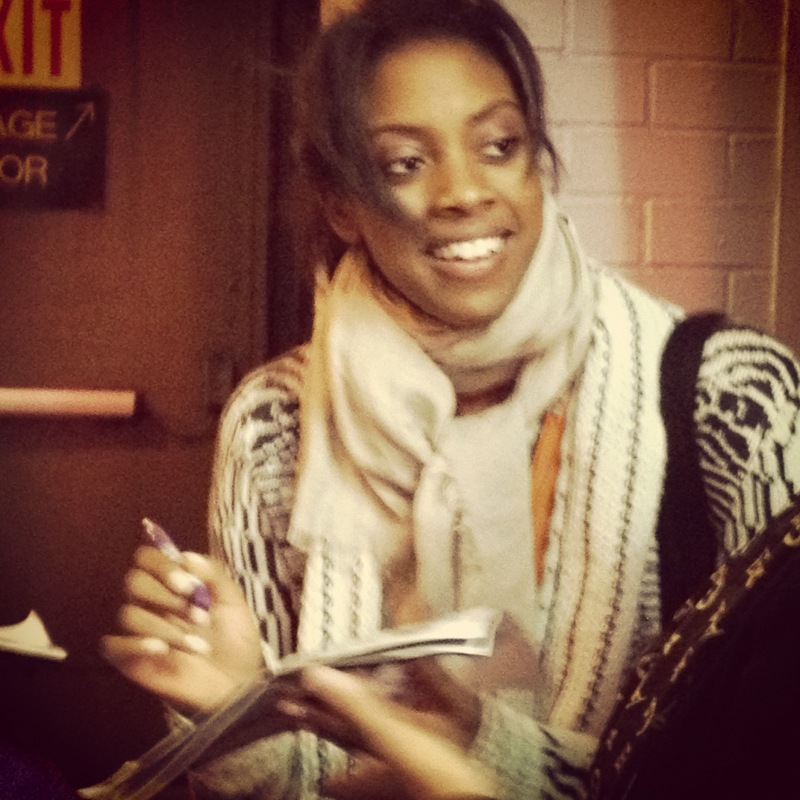 Condola Rashad: Stick Fly’s not-so-secret weapon | Will You Miss Me When I'm Gone? When Will You Miss Me When I’m Gone? 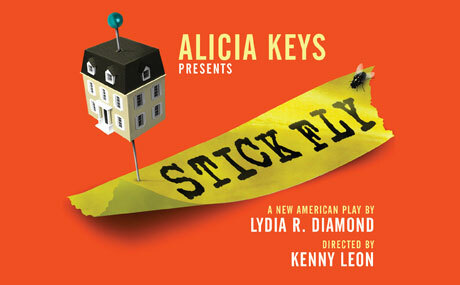 saw a preview performance of Stick Fly on Broadway, we had a great time. The show is flawed, never quite making a clear point while keeping the audience entertained. But we decided to check out Lydia R. Diamond‘s play (being promoted far and wide in the name of Alicia Keys, one of the producers of the comedic family drama with a twist) even before we knew what the show was about. That’s because we we were blown away by the actor with a below-the-title billing who absolutely steals the show: Condola Rashad. Keys will be attending the show and conducting “an intimate post-show conversation” on Monday, Dec. 19 and Thursday, Dec. 22. 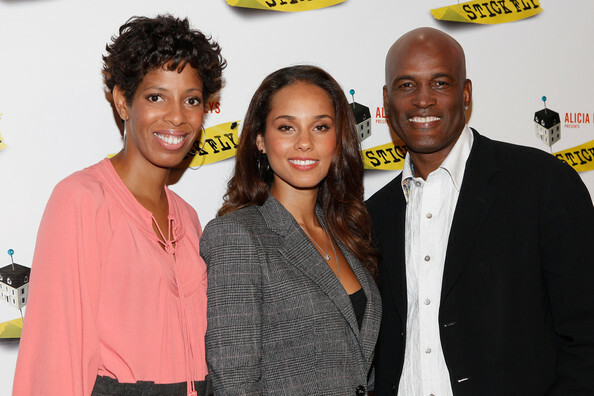 Stick Fly playwright Lydia R. Diamond, producer Alicia Keys and director Kenny Leon. Now for those of you who saw Condola in Lynn Nottage‘s Ruined at the Public Theater, it probably comes as no surprise that she’s Stick Fly‘s secret weapon. Time Out New York described Condola in Ruined with the tag “a star is born.” We missed her first star turn, so we’re making up for lost time.a bit late to the party. In fact, when we first saw her, it was at Joe’s Pub on Nov. 7, when she made a guest appearance in Daniel Breaker‘s cabaret show. This was before Stick Fly began performances. She was deep into rehearsals at that point, but few people had any idea what the show would be like. (It has a bunch of great stars from stage, movies and TV: Dulé Hill, Mekhi Phifer, Tracie Thoms, Ruben Santiago-Hudson and Rosie Benton. 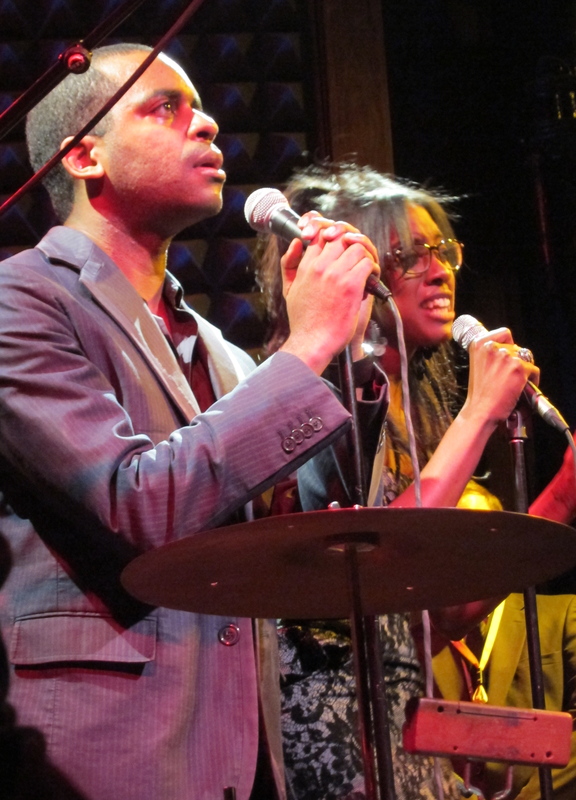 Though she sang only a handful of numbers with Daniel (who burst onto the New York theater radar with his superb performance as Youth in Passing Strange, with a followup as Donkey in Shrek), and one of her own songs, Condola gave Daniel a run for the spotlight. And it wasn’t because she’s a diva or a spotlight hog. She’s just an outsized personality with talent to match. Condola Rashad at Stick Fly's opening night party. Check out those shoes! The reviewers pretty much feel the same way about Condola, no matter what they thought about the play. Check them out to see their views and learn more about the show: The New York Times, New York magazine, Variety, TheaterMania.com. Condola has acting in her blood, of course. He mom is Phylicia Rashad, who’s remembered for her role as Clair Huxtable in The Cosby Show. But she’s no slouch when it comes to Broadway, either, as she won the Tony Award for her 2004 turn in the Broadway revival of A Raisin in the Sun. The show is not perfect, as it teems with so many ideas that it can hardly contain them, let along develop them. But it’s worth seeing. In part, the humor and the universal family arc of the story make it worthwhile. But Condola’s the real reason to see it. You won’t be disappointed. You may even find yourself laughing out loud, talking back to the stage and just having a great time. It’s playing at the Cort Theatre, 138 West 48th St., Manhattan; (212) 239-6200, telecharge.com. Running time: 135 minutes. This entry was posted in Music, Review, Theater and tagged @phloella, Alicia Keys, Condola Rashad, Cort Theatre, Daniel Breaker, Dulé Hill, Joe's Pub, Kenny Leon, Lydia R. Diamond, Mekhi Phifer, Passing Strange, Phylicia Rashad, Rosie Benton, Ruben Santiago-Hudson, Ruined, Shrek, Stick Fly, The Public Theater, Time Out New York, Tracie Thoms. Bookmark the permalink. I told you the day you saw the show you have that TONY – Good Luck!